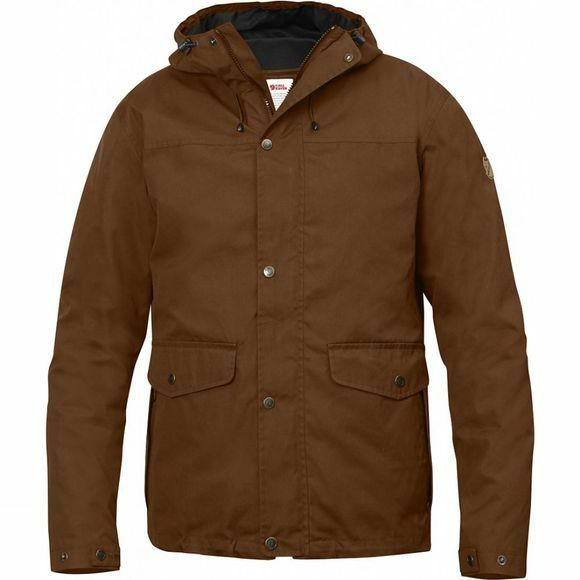 The Men's Övik 3-in-1 Jacket is a warm and durable winter jacket that is also two lighter spring/autumn jackets. The inner jacket has synthetic padding and can be zipped out and used separately as a light jacket. 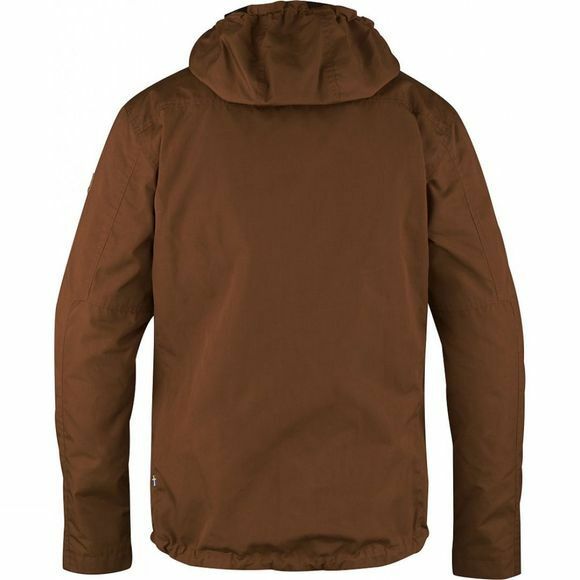 The outer jacket is made from wind and water resistant G-1000 Eco fabric and is also great by itself on warmer days. It is perfect as a versatile everyday jacket, and just as useful when on outdoor adventures in your free time. The model is hip length and has a fixed, adjustable hood and a two-way zip hidden behind a protective flap. There are two hand pockets at the lower front with double openings; one top-loaded opening with a flap and one vertical opening with a zip. The inside of the outer jacket has a mesh lining. The inner jacket is made from pliant recycled nylon and insulated with Fjällräven's synthetic insulation G-Loft Supreme that feels like down and provides excellent insulation. It has a rib-knitted collar and two open hand pockets. You can easily enhance the wind and water resistance of the G-1000 fabric with Greenland Wax, something that also further lengthens the life of an already durable garment.